A misfiring Springbok side can’t afford to get sucked into a game of ‘chasing Kiwis’ in Wellington on Saturday, writes JON CARDINELLI. The All Blacks deserve all the plaudits that come their way. Since the beginning of the 2016 season, Steve Hansen’s side have won 30 Tests, drawn one and lost three. They’ve already won two Rugby Championships during this period. 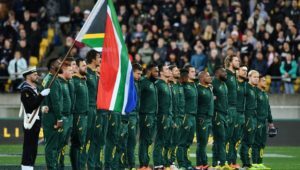 One would expect them to pick up a bonus-point victory against the Boks on Saturday and take an unassailable lead at the top of the standings. It’s easy to get caught up in the All Blacks hype. Their win record over a nine-year period is nothing short of sublime. More recently, their unbelievable attacking stats have led some critics and fans to suggest they are taking the game to another level. Indeed, it’s hard to argue with those numbers. Whether other teams should be looking to emulate the All Blacks in an effort to close the gap is another story. 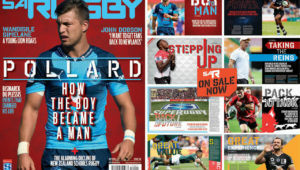 History, of course, tells us that the All Blacks have been at their most susceptible, and have often finished on the wrong side of the result, when they have been forced to compete outside their comfort zone. 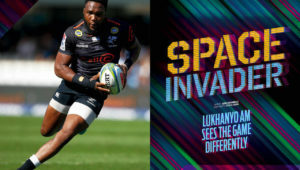 It’s something for the Boks to bear in mind as they gear up for a battle against their traditional foes in Wellington. The Boks need to go into this clash with the right mindset to have any chance of competing with the All Blacks, let alone winning the game. Everything points to a landslide victory for the men in black. The Boks are coming into this game on the back of two bad losses. They are missing a host of key players due to injuries and commitments to overseas clubs. They haven’t won in New Zealand since 2009. They have failed to score more than 17 points in matches played on Kiwi soil during this period. 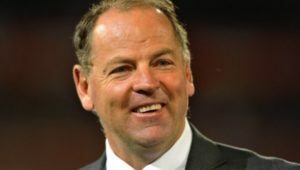 The numbers in the All Blacks’ favour – an average points tally of 33, an average try-count of four and an average winning margin of 23 points– are truly frightening. How should the Boks respond? There may be a temptation to throw caution to the wind, to attempt to match the All Blacks at their own game. Argentina didn’t come close to winning last week’s game in Nelson – they lost by 22 points and leaked six tries – but they did win a lot of friends with their approach. Perhaps there are some in the Bok camp who believe this is something to aim for in a game they’re unlikely to win. It’s an approach, however, that may play directly into the All Blacks’ hands. The hosts will be a lot stronger this week, with stars like Beauden Barrett, Ryan Crotty, Rieko Ioane, Sam Whitelock, Sam Cane and Liam Squire all expected to return to the starting lineup. One would expect them to be more clinical in Wellington than they were in Nelson, and to punish the opposition mistakes more severely. 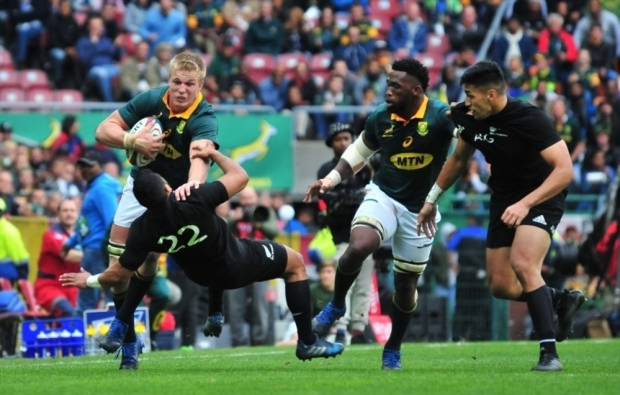 The Boks aren’t fit enough to beat the All Blacks in a helter-skelter contest. 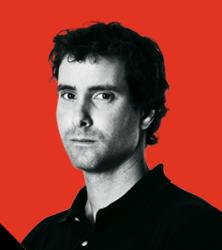 The current team has had its problems on attack in the Rugby Championship – averaging 16 attacking turnovers per game. If the Boks make handling error after handling error in an attempt to stretch the All Blacks, they will lose by another humiliating margin. No side is better than the All Blacks in transitioning from defence to attack, and turning opposition mistakes into points at the other end of the field. The best course of action would be an approach that unsettles and stifles the opposition. We saw the British & Irish Lions employ these tactics on the tour to New Zealand in 2017. They troubled the All Blacks forwards, and kept the backs relatively honest. Territory and defence were prioritised, and so the All Blacks had very little room to work their magic. The Boks have beaten the All Blacks via this approach on many occasions in the past. Last year in Cape Town, a return to a more pragmatic game plan resulted in one of South Africa’s best performances of the season. The Boks came within a couple of points of victory. They will need to emulate the British & Irish Lions and indeed the great Bok teams of yesteryear in order to keep the scoreline at the Cake Tin in check. A reckless and error-strewn performance may lead to another big defeat and serve as a further setback in the grand scheme of things.